Come join YA Rochester for a fun-filled, family friendly time with a circus show you'll never forget. 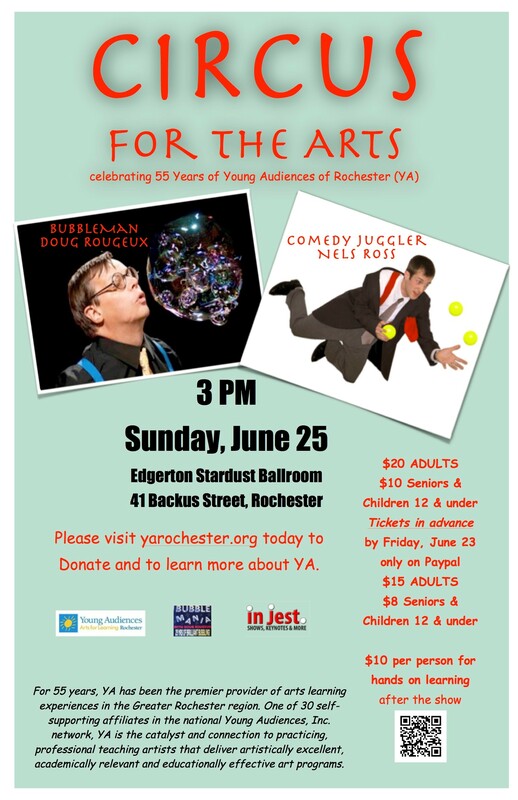 Featuring artisits Bubbleman Doug Rougeux and Comedy Juggler Nels Ross, this Circus for the Arts is the perfect entertainment for your family! Come and join us on Sunday, June 25th at 3pm in the Eudgerton Stardust Ballroom. Visit their website for more event and ticket information.